This soup warms your heart and soothes your soul. Like the perfect hug; this Rosemary Cannellini Bean Soup with Ham is the perfect way to cozy up this winter. Each year for as long as I can remember my daddy would make bean soup with ham the day after Christmas. Growing up I was a super picky eater I loved ham soup, but hated the beans (I had issues with texture). My dad aka “the Saint” that he is would make me my very own ham soup but instead of bean he would use potatoes. 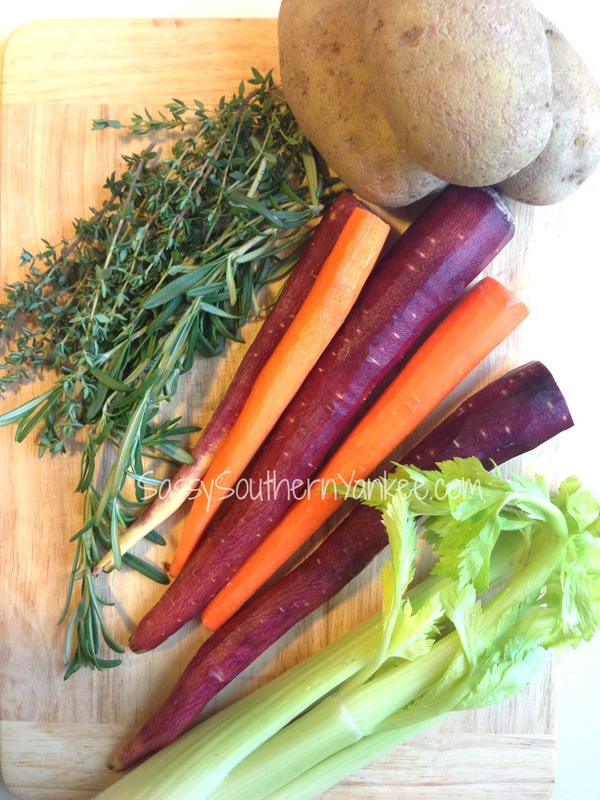 To me it was the perfect soup; rich ham broth with creamy potatoes it was perfection! Now that I’m a bit older my palate has changed slightly, and gone are the days of my hatred of beans. I love Cannelllini beans especially with a bit of rosemary and olive oil. Who knew? And so I share with you one of my daddy’s recipes with my very own twist. 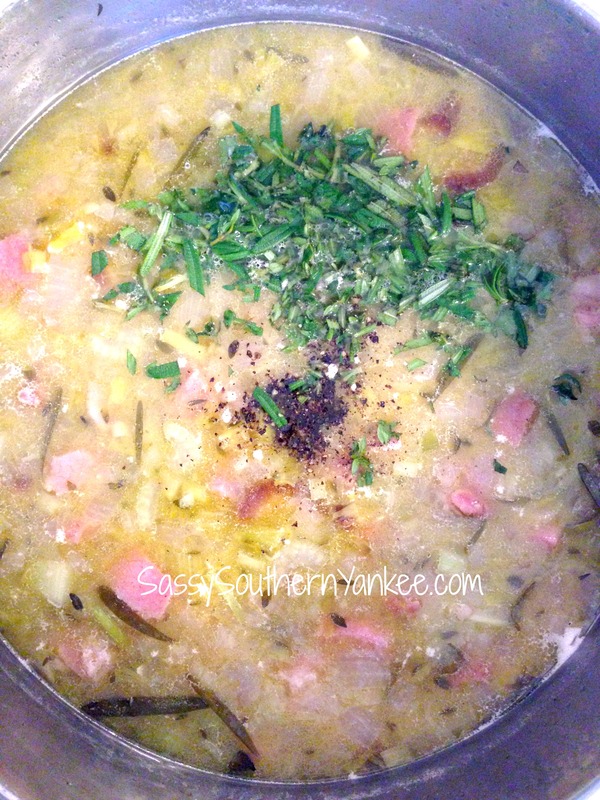 I hope you enjoy this Rosemary Cannellini Bean Soup with Ham as much as we do. In a large stock pot boil the ham bone with the water, bay leaves, chicken stock, one celery stalk and 2 sprigs of rosemary over medium heat. Bring the stock to a boil and boil for about 30 mins. Remove the ham bone and celery stalk from the stock and discard. Add the potatoes and cook for 3o minuets until soft this gives the soup a creamy texture. If you have leftover mashed potatoes from the holiday those work perfectly too! This Rosemary Cannellini Bean Soup with Ham pairs beautifully with a little Sweet Honey Cornbread. It’s the perfect soup for those chilly winter days. If you decide to make a big batch it freezes beautifully. I put mine in small containers then pop them out of the freezer on those days when I’m rushing out the door to work. This soup warms your heart and soothes your soul. 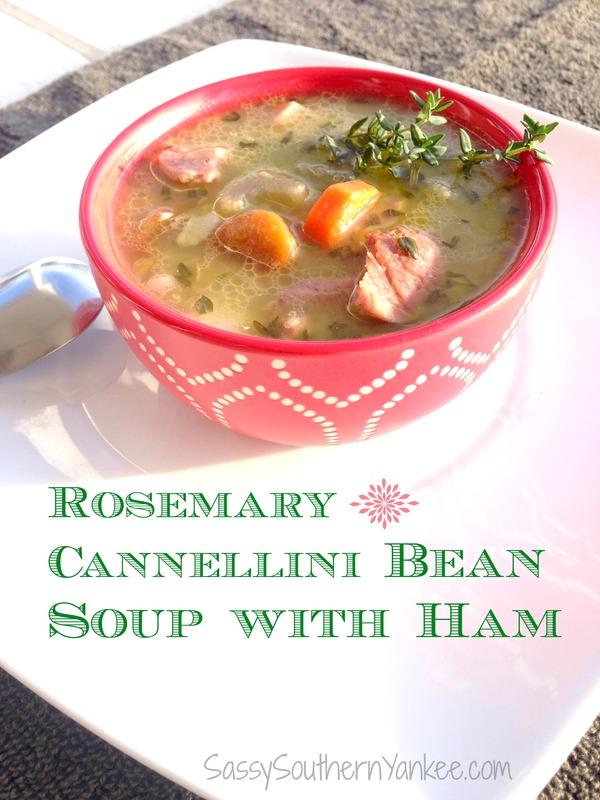 Like the perfect hug this Rosemary Cannellini Bean Soup with Ham is the perfect way to cozy up this winter. 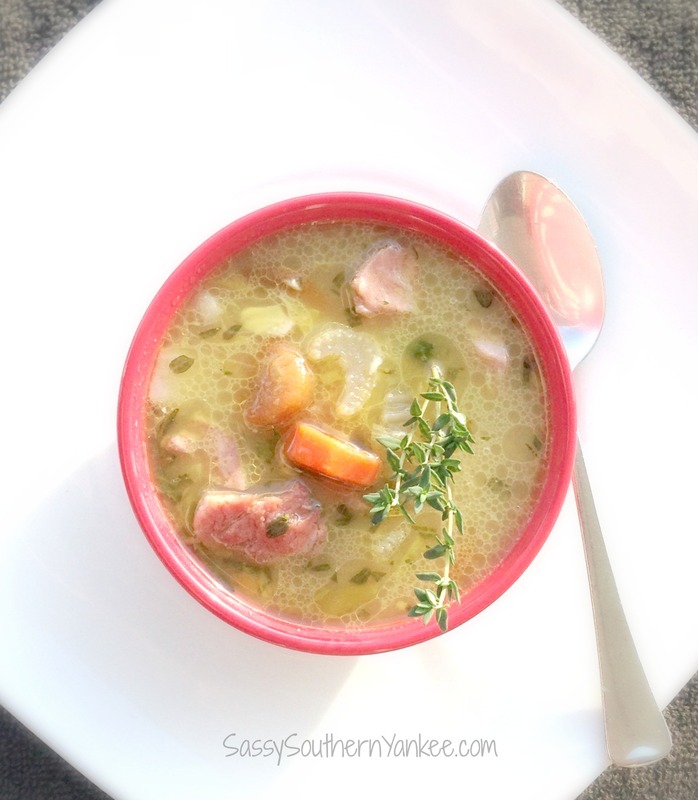 This entry was posted in Soup and tagged Cannellini Bean, Comfort Food, Easy Soup Recipe, ham, Holiday Leftovers, Rosemary, Soup, Warm the Soul.